Zen Buddhist Priest of the Daitoku-Ji School of the Rinzai-Shu Sect. The 519th chief priest of the Daitoku-Ji Temple and also the head priest of the Daiko-In. Myodo passed away in the 61st year of the Showa era at the age of 83. The Daitoku-Ji Temple with long and distinguished history was founded in 1325. 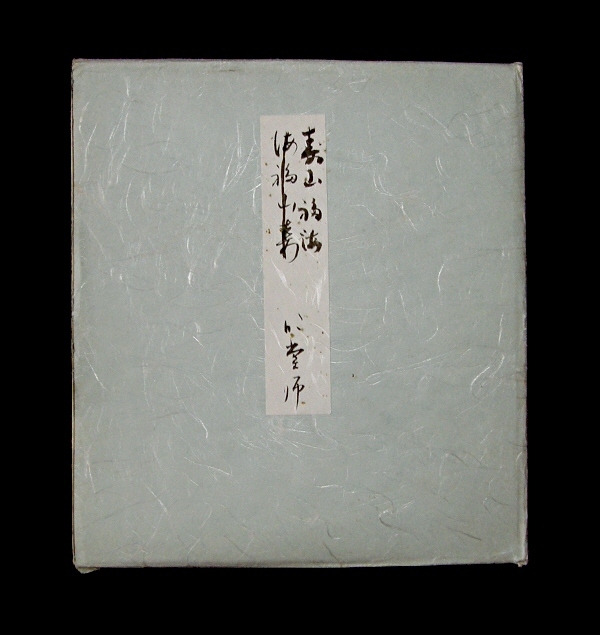 The condition of this Shikishi (Square thick paper) is good. 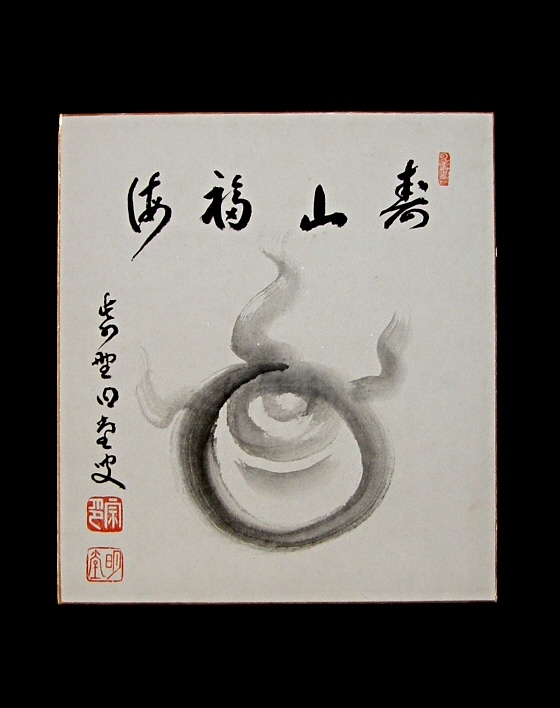 A Hoju, Buddhistic treasure ball, and Kanji idiom are drawn artistically with Japanese brush. The Kanji idiom means that "Happy as much as the height of mountain, Fortunate as much as the depth of sea".